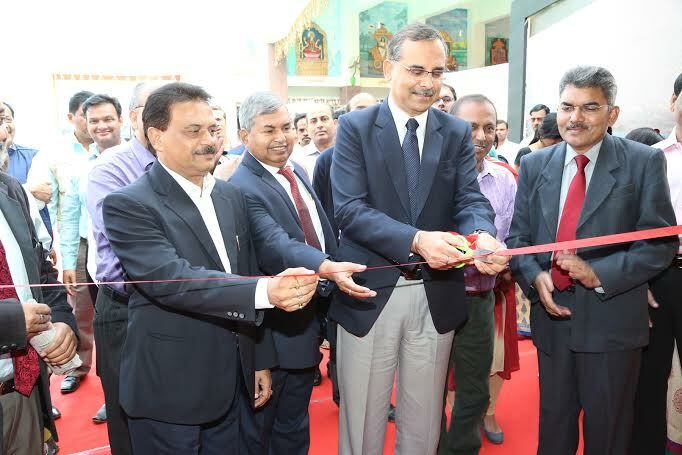 An informative exhibition on country’s 23rd refinery and IndianOil’s 11th refinery at Paradip opened in the city on Sunday. The exhibition located on Janpath at Saheed Nagar Puja ground in the city, displays the extraordinary execution of the 15-MMTPA refinery project on the sea shore of Paradip. During the construction, the IndianOil team of engineers had to face the Nature’s fury of cyclone ‘Phailin’ and Hudhud, but the refinery infrastructure or the labour colonies did not sustain any major damage, bearing testimony to world-class engineering and construction standards. At the peak time of construction, nearly 35000-40,000 people were working round-the-clock on the project, braving inhospitable weather conditions. The visitor shall learn about these special construction efforts and the world-class technology installed in the refinery as well as the growth of IndianOil over the last 50 years and more. While declaring the exhibition open today for the public, Shri Sanjiv Singh, Director (Refineries), IndianOil, said that the refinery shall be playing a critical role in the growth of the region, spurring trade-related activities. He also added that the refinery is configured for processing high sulphur heavy crude oils with major secondary processing units like Fluidized Catalytic Cracker (FCC, i.e., INDMAX technology of IndianOil R&D), Delayed Coking Unit (DCU) for coke production, besides Diesel Hydro-treatment and Catalytic Reformer, Alkylation unit, Merox, etc., for quality upgradation of products. Shri Ramjee Ram, Executive Director (In-Charge), Paradip Refinery, and Shri K K Sharma, GM (Odisha State Office), IndianOil, were also present on the occasion. The refinery that lies at about 5 km south west of Paradip Port, is divided into two parts by a water body named Santra Creek. Nearly 2,366 acres of the land has been reclaimed with dredging and filling of 27.4 million cubic metres of earth. The volume and quantity of construction material that has been used to build this refinery from ground up is staggering, it includes about 1 lakh piles of varying sizes with maximum diameter of 1400 mm & depth of 40 metres. ; 11.6 Lakh M3 (3-times the volume used for Burj Khalifa, Dubai) of concrete (RCC & PCC); 2.8 lakh metric tonnes (equivalent to 30 Eiffel Towers (France) or about 350 Rajdhani Express Trains (India) of structural steel work (including Tor Steel); almost 2,400 km of pipelines network (nearly the 2,525 km length of river Ganges of India); about 3,300 numbers of static and rotary equipment; and 20,000 km of electrical and instrumentation cables are running across the refinery, which is equivalent to 1.8 times the diameter of the earth. More than 100 units of mobile, crawlers and truck cranes have been used to erect the major individual process units. To ensure the spirit of inclusive growth, the refinery administration has energetically and passionately invested in the growth and development projects in the surrounding region. The refinery falls in Kujang and Erasama Blocks of Jagatsinghpur District. The adjoining villages fall within the Panchayats of Paradipgarh, Bagadia, Kothi, Dhinkia, Fatehpur, Gandakipur, Biswali & Mangarajpur. Based on need assessment and on case-to-case basis, projects on basic facilities like clean drinking water, access to medical care, education, avenues to generate livelihood, fast connectivity, etc., have been successfully implemented. Among other major initiatives for skill development, around 30 people have been sent for skill development training at CIPET, BBSR, and major skill development centre shall soon come up for the benefit of the local people.